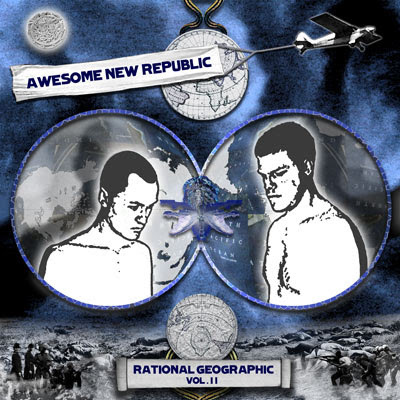 Miami's very own and friends Awesome New Rupublic (ANR for short) just released Volume II of their 2009 album Rational Geographic. Pretty genious idea I think. Split up your album in 3 parts and get each little by little every couple of months. Keeps you having new music all year long. Wonder if it will catch on? Here's a couple of my favorites, but they're all quite excellent! Here's a short 1 min. clip of them rocking out including, The Vagabond were I spin Fridays and Saturdays.